Okay, this. If you’ve been around me for half a second, you probably know that I gravitate to books that shake crap up. Christian platitudes, thematic clichés, soft fluffy gospel writing…I’d rather stick freshly sharpened pencils into my calf meat. Give me something strong, something difficult and true, something to raise a little hell. I don’t like books that go down like butter; I like them full of shards and rough edges. I like them to push like a bully and make me wince with the truth of it all. I appreciate courageous writing so much. I like to be stretched. So this week, I’m going to share with you three books I’ve recently read that unlocked something deep within and left me alternatively cheering out loud and trying to creatively distance myself from their messages and shirk obedience. These are complete with giveaways and everything. 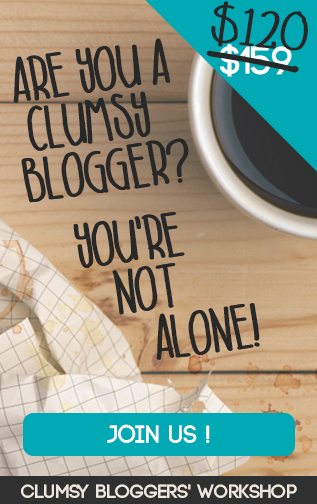 It’s almost like I’m a real blogger. If you read Interrupted, you might remember that I quoted Hugh’s book The Tangible Kingdom approximately 359 times. At the time, we didn’t know Hugh, only the unconventional, razor-sharp, devil-be-damned way he talked about Jesus, community, and living on mission in such a way that people might actually be attracted to Jesus rather than repelled by the ungracious, unappealing, unChristlike way we represent Him. It literally turned our world upside-down and is still the material we use to disciple our people through missional community at ANC. So we did what we do best: tracked him down in real life and made him be ours. The Hatmakers and Halters are all tangled up now in ministry and friendship; we just sat on their back patio in Denver two weeks ago and ate grilled bison and quinoa, and I daresay we solved nearly 68% of all the earth’s problems. Our books are next to each in Barnes and Noble. Halter/Hatmaker. DESTINY. But I digress. After reading The Tangible Kingdom, we received the language we needed for creating strong missional community. But after reading Sacrilege, I realized this was an instrument for bringing the disenfranchised, the church wounded, the cynical and angry, and the repelled back to Jesus. This wasn’t just a book to put in the hands of a church leader; this was a healing tool for everyone who cannot for the life of them figure out what is “good” about our Good News. I like how you try to get in trouble right away. Why did you title the book ‘Sacrilege’? Simply put, it just means to remove religion from something or to tear away what some people might think is religious. Sacrilege isn't about defiling, defaming, or profaning anything good. But it is about stripping away anything that hides the real deal, the real Jesus, and the real story of the Gospel and kingdom living. I personally think the main reason people aren't coming toward Jesus is because they can't find him through all the mess of tradition, poor examples, judgment, rhetoric or religious activity...and that includes evangelical Christianity. You’ve carved out a strong niche writing for church leaders. Why did you decide to write a book for “non-leaders”? To be a bit crass, I think non-leaders are the new leaders. And unpaid saints are much better positioned to affect the lives of real people than the pros. As I have assessed the landscape of the lives of pastors, incarnational living seems to be quite elusive from those whose calling is to lead the church. The peasants, the plumbers, and baristas and bar managers can easily take the sacrilegious way of Jesus and make it their own … starting tomorrow! I love the way you talk about Jesus. If you had to pick one, what lesson do you think most American believers need to rediscover about the unorthodox ways of Jesus? I'm not sure if this is the main one, but the characteristic that I love the most is "meekness." Jesus teaches that this one, crazy little "istic" about our lives is actually what wins the hearts of our friends, our kids, and those we care about. Anything north of meekness is just religion and people can't stand it or stand for it. The beatitudes are my absolute favorite. Why did you use them as the scaffolding for the book? That's where Jesus started when he began to try to re-orient religious people toward an entirely new faith system he called the Kingdom of God. As each chapter takes a beatitude, and then shows the sacrilegious alternative to religiosity, I hope to also give people an angle that will challenge and release them into true incarnational living. I also wanted people to know that the Bible gives them permission to be with, love, accept, and befriend sinners; that the Bible gives them freedom to enjoy life and embrace the grey areas of life without fear, fundamentalism, or frigid faith. So freeing, Hugh. People expect that you'd probably tip a few sacred cows over. Which ones do you think you'll take the most heat for? For sure it would be the chapter where I address the Sunday practice of communion, or the Lord’s Supper. I suggest that Jesus never intended for the Eucharist to become an institution of the church available only for insiders. The symbolic act of “remembering him” is actually MORE IMPORTANT to Jesus than it naturally becomes when you administer it with the common practices of exclusion, judgment on the heart of someone in the crowd, or professional clergy controlling who gets to receive it. The Table of the Lord has become another ‘false” line in the sand instead of what was truly intended to be…that of an invitation to eat with Jesus and experience his mercy. Three publishers said no to this book though they agreed with my biblical and historical sketch. They simply didn’t want to take the heat from retailers. I do want to add my view to the overall discussion of how Jesus would treat those not in the club because I think it’s central to His larger call. I’m proud of Baker Publishing for letting the honest discussion come out. I’m not sure I would just hand it out to everyone. It's sort of like a brand new pair of scissors. It’s not safe for elementary users but could be highly practical for those in our congregations that are ready to engage the world like Jesus did. I'd give it to small groups who are trying to become missional communities, I would give it to all church planters, I would give it to all pastors, elders or anyone setting vision for a church. AND I would give it away like candy in at Halloween to jaded Christians who have tapped out of church, or friends who are not yet followers of Christ. It will help them see a completely different side of Christianity that they will like. What do you think our communities would look like if we took the message of Sacrilege seriously? Oh, that's easy. Church people would be afraid or annoyed by us, and the unchurched normal folks would love us, just as they did Jesus. If Christians were the most sacriligious people in the neighborhood, our cities would be transformed. What do I have to do to get you and Cheryl back to Austin? Bribery? Extortion? We love Austin except for May through October. Anything above 140 degrees is not good for my complexion. Cheryl however will come for good Mexican food and a nice glass of Tempernillo! Readers, let me tell you something: this book is a safe tool with zero freak factor to use in creating natural dialogue with folks who’ve tapped out of organized religion and their Catholic/Protestant upbringing. Sacrilege is a conversation starter you need not fear. I know one girl who gave away 30 copies to unchurched/dechurched women in her life, and they held weekly discussions on each chapter. The women were so moved and won over, they invited Hugh to their gathering and bombarded him with stories of their own changed minds. If you’re just up to here with Christian rhetoric and the blah blah blah white noise of religion, please do yourself a favor and grab a copy of Sacrilege. Hugh says everything we’re thinking but are sometimes afraid to murmur out loud. He asks the hard questions and runs headfirst into the messy gray of life. Not to mention the rock solid biblical case he makes for living like Jesus really lived, which if you’ve paid attention to your Bible, can get you into trouble with religious folks but might get you a whole lot closer to Jesus. I have two copies to give away! Leave a comment about anything that resonated with you from this Q&A with Hugh, and I’ll draw two names at random and send you a copy! Sounds interesting. Would like to read it. Hopefully they have it at the library! "To be a bit crass, I think non-leaders are the new leaders. And unpaid saints are much better positioned to affect the lives of real people than the pros." LOVE this and find it to be very true. "Sacrilege isn't about defiling, defaming, or profaning anything good. But it is about stripping away anything that hides the real deal, the real Jesus, and the real story of the Gospel and kingdom living." I think this is what the whole "modern church" movement is about. I see it in every contemporary from you, Mrs. Hatmaker, to Mark Driscoll. Even when the outcome is completely different, we are all striving for one thing: truth. And stripping away rhetoric, jargon, church-talk in general, I think, is the most necessary place to start. I really need to read this book! Wow. Sounds like a great book I would live to win. I love that he said he would give it to small groups trying to be more missional communities. I am blessed to have a small group growing that direction and I would live to read it with them! Non leaders are the new leaders and people currently not "paid" ministers have unique opportunities to influence. So agree with both sentiments! This book looks interesting! Totally want to read it with my pastor husband! Most intrigued by the communion concept, duh! We have recently joined a small church that meets in a historic bank downtown and we are wanting to rock our community for Jesus. Sounds like a book that would help us do that! In the last few years I have discovered a true love for books/speakers/...people doing what Jesus said that make me totally uncomfortable and stretches me to my core. At first I thought this was a problem I had (especially since I convince others to read them with me...then laugh when they are as messed up as me). Turns out this doesn't make me crazy. I want to read this book!!! Ditto for me: "I think non-leaders are the new leaders. And unpaid saints are much better positioned to affect the lives of real people than the pros." Yes and yes.
" If Christians were the most sacriligious people in the neighborhood, our cities would be transformed." I absolutely love this quote and now MUST read this book!! Thats mine, too. Count me in for some sacrilig! Me too, Kim...I think he's totally right on here! I'll be looking for this one!! Hmmmm...maybe our teenagers being raised in Christian homes that are leaving the church in droves might find this appealing. May need this book in my life right now get me out of my feeling that I am way too "comfortable." I love the Beatitudes and will appreciate this different spin as I head into the final third of my life - I want to be intentional, purposeful, risky -- but don't always choose that. I love the response he gave to the question: how would our communities look different. The church folk would hate us and normal folk would love us! That is awesome. Makes me want to read the book. Interesting! We are infant church planters....can't wait to sink my teefs in! Pick me! Pick me! "a healing tool for everyone who cannot for the life of them figure out what is “good” about our Good News" This resonates!! I have so many in my life who wonder what good Church is at all and have been so wounded (heck I have been wounded). 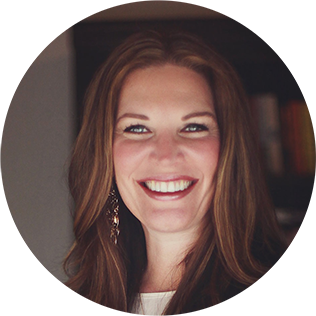 I love the way you are making me question and dig into the word more and more Jen Hatmaker!! Would love the opportunity to win this book...If not I will definitely still read it! Thank you for sharing and this answer makes me WANT to read this book: What do you think our communities would look like if we took the message of Sacrilege seriously?Oh, that's easy. Church people would be afraid or annoyed by us, and the unchurched normal folks would love us, just as they did Jesus. If Christians were the most sacriligious people in the neighborhood, our cities would be transformed. "If Christians were the most sacriligious people in the neighborhood, our cities would be transformed." - I think as Christians we tend to see the word sacriligious in only a negative context, but he gives it new meaning and it's something we actually need to embrace! "But it is about stripping away anything that hides the real deal, the real Jesus, and the real story of the Gospel and kingdom living." "...non leaders are the new leaders..." Amen. As a former staff member of a church, I find less obstacles to ministry outside the parameters of a vocational position. And the idea of Jesus followers upsetting christians is something those of us living in the Bible Belt could use an atomic dose of. I'm getting hit from all sides.....so far this spring/summer, I've read Interrupted and Seven. I'm currently reading Kisses From Katie, and Radical is next (after my hubs is done with it! ), oh, and In Defense of Food....and the Barefoot Church, not necessarily in that order, and now you are giving us 3 more!?! :) the quote that resonates with me?... "Who should read this book? I’m not sure I would just hand it out to everyone. It's sort of like a brand new pair of scissors. It’s not safe for elementary users but could be highly practical for those in our congregations that are ready to engage the world like Jesus did." I think this is because I want to be ready and obey, but I also want to keep my nice comfy life. I just keep praying God would change my heart, and give me the desire to obey. I am so intrigued by Hugh's view of communion. I have never heard from his side of the fence before and as I sit on the train pondering what he has just thrown out - I'm feeling a bit unsettled and super curious. I can't wait to read this book! "Church people would be afraid or annoyed by us, and the unchurched normal folks would love us, just as they did Jesus. If Christians were the most sacriligious people in the neighborhood, our cities would be transformed." Oh.my.word. Consider me resonated. Have to read this book! He runs headfirst into the messy grey.....um, yes please! In the last 2 years of my life - the messiest, hardest, most broken, full of pain so deep it took my breath away years - I have devoured the Word...and what I found there was a brand new Jesus full of scandal and grace and truth. I teasingly say that I lost church and found Jesus after 30 years of following Him. I love anything and anyone willing to relook at our savior and find the God who made the religious hate him and the prostitutes want to have dinner with Him! I love the idea of the back to basics ideas. To strip away all the man made religion and see what Jesus really wants from us. I also like books that shake things up. 7 is still wreaking havoc through our house :) In a good way of course. "Church people would be afraid or annoyed by us, and the unchurched normal folks would love us, just as they did Jesus." I need to be shaken up right now. I am tired of living like everyone else. Here you go again Jen.... My small group has been shaking things up with our "7" experiment/journey. Now, I fear (not) that Sacrilege just might have to be our next "experiment"!!! I can't wait to see if I win a copy, so I will give it away if I win because I am ordering it right now bye!!!! I'm also happy that Baker Publishing had the guts to publish this book, I can't wait to read it!! "To be a bit crass, I think non-leaders are the new leaders. And unpaid saints are much better positioned to affect the lives of real people than the pros." I did not become a Christ-follower until I was 25. I grew up in a very legalistic cult and didn't want to have anything to do with God for many years. Even now...15 years after becoming a Christian, I still have a hard time trusting the pulpit completely. I am more apt to listen to the everyday soldier in the trenches with me, so this quote above really resonated with me. The part about being the most sacrilegious person in your neighborhood!!! Love it! Church people would be afraid or annoyed by us, and the unchurched normal folks would love us, just as they did Jesus. If Christians were the most sacriligious people in the neighborhood, our cities would be transformed...... Oh to be like Jesus!! i'm both excited and scared of this book. i'm putting it on my list of books to read! 'Bringing the disenfranchised, repelled back to Jesus...' I would love to know how I could improve on doing that. I would love to read this book and pass it on to my "dechurched" friend who has gotten so far away from her faith that I don't even know what to begin to say to her. If Christians were the most sacriligious people in the neighborhood, our cities would be transformed. Hope to read it...and winning it would be a super bonus! I love that I'm starting to discover more and more books that are completely changing my view of Christianity....to something that I always wanted but didn't know could actually be attainable. "Anything north of meekness is just religion and people can't stand it or stand for it." Just finished Interrupted this past weekend and I think your count is a little high. I think there were only 320 references to TTK. "I'd give it to small groups who are trying to become missional communities, I would give it to all church planters, I would give it to all pastors, elders or anyone setting vision for a church." Perfect! We are going to take our small group in the missional direction this fall with the hope of moving our entire church that direction...ala "Barefoot Church" style. It's written by some guy named Brandon - maybe you've heard of him. Always being open for a good shaking up, I think I might have to pick up a copy! Wow! I need this book!!! I'd love to give it to my neighbors (before or after I read it myself? Not sure!) I'm a bit burned out on the Prosperity Gospel and want to live like Jesus. Jen, I can't wait to read this book! We are so tired of the "American Dream Christianity" thing...Jesus didn't preach it and He sure didn't live it! We are working so hard as a family to really get deep into the Word and discover what Christ is calling us to do with our lives...based on how HE lived and what HE taught. We certainly haven't had any luck trying to discover this through the American Church. Severely disappointed right now and praying that God keeps moving in our lives and guiding us to wherever He wants us to go! This book sounds really great! I love the idea of stripping away the layers and getting to the good parts...Jesus! I love a good challenge! He says the same things my dad has been telling me for years, but I didn't realize how much truth there was to it!!! Can't wait to tell my dad about this book! Oh my goodness. This looks like a bit of a h-e-double hockey sticks raiser for sure. I'm almost afraid to put my name in the hat but I do have a couple dear friends who are so turned off to the church and the traditional evangelical way of things that I am always curious about the why and the hurt that propels it. Here's what got me: "AND I would give it away like candy in at Halloween to jaded Christians who have tapped out of church..."
I need this book! For me and my husband- a church staffer! Very interested in the communion thinking. I love how they said this book is like a pair of scissors... After reading Interrupted I am ready to move out of the "elementary" phase in this walk with Jesus!! "I personally think the main reason people aren't coming toward Jesus is because they can't find him through all the mess of tradition, poor examples, judgment, rhetoric or religious activity...and that includes evangelical Christianity." I know God is shaking me to the core to KNOW Jesus. Not Jesus the church version...but Jesus HIS SON. I need to add this to my "light" reading list. Ugh, darn it all. Every. Stinkin'. Time. this happens. Where's the tissue? Seriously, this got me, b/c it's where I'm at. "To be a bit crass, I think non-leaders are the new leaders. And unpaid saints are much better positioned to affect the lives of real people than the pros. As I have assessed the landscape of the lives of pastors, incarnational living seems to be quite elusive from those whose calling is to lead the church. The peasants, the plumbers, and baristas and bar managers can easily take the sacrilegious way of Jesus and make it their own … starting tomorrow! " Even though I just got ordained as a "pastor"...I don't think I'll be working at a church (For now? Forever? Who knows?) And much of it is has to do with what you wrote. Plus, our church planting experience ruine me. RUINED ME, I tell you to traditional/established church. Not that we did it better. Or that I think they are doing it wrong. I can't explain it. I just miss the direct contact with people that took place when I spent more time outside of the church, than in church meetings, at church programs or church functions. When conversations about nothing became conversations about something (or rather Someone). Ya know? I just don't know. But what I do know is I want my life and all that I do to reveal to others..."the real deal, the real Jesus, and the real story of the Gospel and kingdom living." So thanks, Jen....now, I have even more to 'think' about....(I think my 'thinking' mind is about to explode!) Off to go talk to the Big Man....AGAIN! I think everything he said was interesting. Would love to win a copy. I turned to my husband, who I was reading this blog too, and I said.....define meekness in your words. He said many things but "non-aggressive" jumped out at me. I think people are easily turned off by the pushiness and need a non-aggressive approach. I would think I would experience "fear" walking into an organized religious church service, bible study, youth camp, and immediately bombarded about sin in my life. If only we practiced meeknees, the non-aggressive route, to sharing Jesus to others, and just BEING with them. I am in. Completely fed up with American Christianity. Here's one of my favorites from your interview: "I also wanted people to know that the Bible gives them permission to be with, love, accept, and befriend sinners; that the Bible gives them freedom to enjoy life and embrace the grey areas of life without fear, fundamentalism, or frigid faith." I need this book. There, it's out there now. God's been doing a lot in our church in the area of breaking off the religious spirit. To get back to the basics of "knowing Jesus today and following Him together." As pastors, I'd love to get my hands on this!! Would be an interesting read! Thanks, Jen! MEEKNESS!!!! It's what has been on my heart recently. Why are we so afraid to be peculiarly meek? It does NOT mean we are weak! It means we are completely sure of what we hope for...so much so that we don't need to barrel people over with all our amazing knowledge. We simply walk in the Way. I have a desire to walk fully in the Meekness of Christ! May the "Meek" be the new "Chic!" Great blog post - great book report (I'm a former elementary school teacher) - I give you an "A!" And I'm going to purchase The Tangible Kindgom and Sacrilege. No worries, Jen! I've already read and studied with our "Biblehead" ladies your "Modern Girls' Guide..." We're all good! Thanks for you humor, spirit, no-nonsense way of telling it like it is! God bless you, Sister! After having finished Interuppted and 7 and barefoot church, I am ready to get pushed and more uncomfortable in my reading and studying of the WORD! I am highly interested in reading this as well! As he said,"the non-leaders are the new leaders", and giving it away like candy @ Halloween to jaded Christians!" thanks Jen! "Church folk would hate us and normal folk would love us." This describes Jesus, but not the church today. My small group bible study has been transformed by 7 and this sounds like another good one to keep us fired up! This idea? "If we took the message of Sacrilege seriously, church people would be afraid or annoyed by us, and the unchurched normal folks would love us, just as they did Jesus." Makes me want to get this book pronto. Thanks for the recommendation, and kudos to you on your stalking/befriended success! I have an experience that continues to floor me. I was dealing with an issue that needed prayer, and. Wiccan friend (formerly Christian, burned by the church) offered to light a candle and say a spell. I thanked her and expressed my appreciation for her heart towards me but declined. Hopefully without judgment or more "church" that repelled her. She said no Christian had ever done that. I'm continuously struck by those who won't engage in messy relationships while loving Jesus in their own life. I feel like it's not an either/or so his definition of sacralidge struck me most. Maybe I'm crazy but I don't know how you show Jesus without getting in the midst of real life with people. The bit about who will take it more seriously, and Hugh saying the Church will be annoyed and afraid, while the unchurched will come running I think is a huge part of it. People dying and going to hell is a pretty scary deal. As Christians I think we fear teaching Christ's love in the wrong way so much, it actually becomes a barrier for satan to use. When people get an accurare view of Christ they are either come running, or run away scared. If eternal death is the plague, and as Christians we claim to have the cure, then why aren't people lining up to get it? Something is obviously wrong with our marketing strategies. I like the part where he said normal churchy people would be annoyed and non-churchy people would love it. Sounds good to me! I want to shake my church upside down like a kid shakes a piggy bank! ..."the Bible gives them freedom to enjoy life and embrace the grey areas of life without fear, fundamentalism, or frigid faith..." Wow. Loved this comment in your blog post. I grew up with the impression that you did what people expected of you, you were a "good girl" in all ways possible, and you did not rock the boat or live your life in a way that was "different" than the status quo. I (and my immediate family) had to look good on the outside at all costs, so perfectionism became a stronghold in my life. Because of my fear of failure, I never stepped out in faith to do anything worth while or fulfilling. I was raised believing that religion was stifling, boring, dry, something to be ashamed of, a crutch for weak people. At 28 "Jesus" became more than a word to me. He took over my life. He became my life. And boy howdy, what a life it's become. In three years we traveled around the world multiple times to add five children to our family. I went from being an "almost" empty nester as my oldest two biological children were almost grown, to being a new mom to 3, 6, 8, 9 and 13 year olds. OK I honestly never thought about Communion that way. Just struggled thru a service not so long ago where my 10-yr-old daughter grabbed a wafer. She is usually tucked away safely in Sunday School and we honestly had never talked about it. I PANICKED. And now I'll be thinking about this for weeks. Would Jesus, with his love of children's faith, have ever considered turning her away from sharing in His meal?? I have lived in Austin for over a year now and have no idea... exactly what is Tempernillo?? We have gotten ourselves in trouble with the mainstream because we left it. This book sounds like one that is right up our alley. Cannot wait to read this!!!! Thanks for the awesome suggestion Jen. This: "Three publishers said no to this book though they agreed with my biblical and historical sketch. They simply didn’t want to take the heat from retailers." The book was appealing enough before he said that! I would like this book. I don't know if I'm ready for it but I'll let you know after I read it. This book is exactly what my husband and I need. We spent 6 years searching for a church that was not full of hypocrits before we found Generations and then ANC. Now we moved to san Antonio and are back to square one.....our hearts and lives open to jesus but churchless.....it kinda feels like we are floating through life all alone. I am glad the book is for the non-leaders who are the new leaders...praying that asd I read and read I will act and act! I would say what stopped me in my tracks was "Church people would be afraid or annoyed by us, and the unchurched normal folks would love us, just as they did Jesus. If Christians were the most sacriligious people in the neighborhood, our cities would be transformed." I can't wait to read this book. I am so intrigued by the "meekness" part of this discussion. It's not something that's often discussed in the Christian community, and I think the opposite of meekness is what turns so many people away. People like my brother-in-law, and my good friend's husband, and my next door neighbor, just to name a few. I would love some new words to speak to them and to others! Thanks for putting this book on my radar! I'd love to win (who doesn't love to win something? ), but I'm getting it regardless! Add me to the "unpaid saint" comment fangirls! It seems like a great way of saying "priesthood of all believers!" "stripping away anything that hides the real deal, the real Jesus, and the real story of the Gospel and kingdom living. " We use the beatitudes as our guiding 8 principles at Celebrate Recovery. I'd love to read through Hugh's take on them! Looking for something to shake things up a bit... might have to read it! I always loved Philip Yancey's book, "The Jesus I Never Knew." Perhaps this one will take things to the next level?? I'd give it to small groups who are trying to become missional communities, I would give it to all church planters, I would give it to all pastors, elders or anyone setting vision for a church. AND I would give it away like candy in at Halloween to jaded Christians who have tapped out of church, or friends who are not yet followers of Christ. It will help them see a completely different side of Christianity that they will like. // This is why I want this book. I want one to give to my prodigal son. Thank you for the chance to win a copy!
" I personally think the main reason people aren't coming toward Jesus is because they can't find him through all the mess of tradition, poor examples, judgment, rhetoric or religious activity...and that includes evangelical Christianity." THIS! Communion comment made me think. Know a lot of people who have felt excluded or demeaned for taking communion because they werent a member or some other rule or regulation. Just this weekend as my husband passed the communion tray at our church a lady who was a visitor asked him if she was "allowed" to take communion. Whether I get a give away or not, I HAVE to have this book! (Think Amazon will put it on sale for $2.99???) The thing that resonated with me (and I kid you not!) is that I'd pulled this up to read and had to defer because I started having conversation with young woman at the theatre (we're theatre rats and my daughter is stage manager for Laramie Project which has opened up a LOT of conversations about Christianity, Christians, etc) and during the conversation she said "I'm just not sure who my Jesus is right now..." I asked her if she was unsure of Jesus or the church and she said "I don't think Jesus looks like the church tells me he does" After reading this I desperately want to get the book and share it with her!!! Sounds interesting! I would love to win. I do believe that believers are giving the world reason to not come to church and worse come to Christ! I have just recently started my journey back to Jesus. Started with your book 7, Jen. Now I want more of Jesus and less of me. My husband was born and bred in the church and left the second he could. I know I want to know Jesus better. And this might be step 2 for me, step one for my husband. Thanks for sharing Jen. Oh man. This sounds like exactly what I want to read next! I have been extremely challenged by your books, 7 and Interrupted and I am looking for more direction on living and loving like Jesus, no matter what my church thinks of me. Right now I'm kind of feeling like an outsider there because my views are changing (for the better) and I WANT MORE! "I think non-leaders are the new leaders. And unpaid saints are much better positioned to affect the lives of real people than the pros." I so agree with this! As the wife of a pastor, I hear so many people say that they wish the could be in a position of leadership like pastors and their wives. I always try to encourage them right where they're at, because I so often feel that they are in a position that can make SO MANY CHANGES to real people's lives! I'm in the middle of Interrupted. Would love to read this too. "Zero freak factor." That's actually really importsnt to me. You can't underestimate that when sharing the stuff of faith. Sounds like a must read. Looking forward to checking it out. We are experiencing this now as we've started a Bible study at our apartment complex for residents we've gotten to know here. This often involves staying up late and smoking cigarettes on the porch with them and maybe drinking a little wine. Another very religious resident has begun telling those who come that they shouldn't because "they are teaching you wrong things and shouldn't be smoking cigarettes and drinking wine with you." The thing is, they keep coming. And they ask hard questions and tell us that they know we love them. That's what matters to us. In the meantime, I pray for my religious neighbor to be free from the legalistic shackles that I was once bound by. I'm hoping that until then we can work together to promote the Gospel in spite of our differences. "I suggest that Jesus never intended for the Eucharist to become an institution of the church available only for insiders." This sounds like a great read. I loved the idea of giving away several copies of the book to our non-churched friends, neighbors and acquaintances. The sad thing is that I'm not sure I could come up with 30 people that fit that criteria. And it seems to me that my family is not the only family in our congregation that would say this. The church people have to get out of church and into people's lives! Sacrilegious unorthodoxy. Imagine! Thanks for the tip off for a great summer read. "I personally think the main reason people aren't coming toward Jesus is because they can't find him through all the mess of tradition, poor examples, judgment, rhetoric or religious activity...and that includes evangelical Christianity." I don't want to be in the way of others coming to Jesus. Non-leaders are the new leaders. I like that. I just spent the day with a good friend I hadn't seen in a while. We both are married to men who used to be pastors and were very hurt by the church. We and our husbands love Jesus and long to serve Him, but get so fed up with how political and hurtful church life can be. It just feels like we (the church) are getting it all wrong. I live the fact that Hugh builds upon the beatitudes in the book. I led a Bible study on them this past year and they really are revolutionary. I don't think Christians in 21st century truly understand how radical Jesus' statements are! I am really looking forward to reading the book! I love that this book's "scaffolding" is the beatitudes. We've been studying Matthew in our small group for the last year and this would be good discussion material. Thanks for the giveaway! I have a friend who left the church about two years back... so, so jaded. And this sounds like a book that I'd like to read... and then give him so we could discuss! For me it is the comment about the non leaders being the new leaders. What a wonderful way to look at it! I love the part about what would happen if we read this and acted on it: "Church people would be afraid or annoyed by us, and the unchurched normal folks would love us, just as they did Jesus. If Christians were the most sacriligious people in the neighborhood, our cities would be transformed." As God has led my husband and I on our own unique journey, similar to yours and Brandon's in "Interrupted" but different in its own way, it has been amazing to see how many normal folks are coming through our home doors and how many "church people" are afraid/annoyed at the different paradigm we seem to be living out. When God disrupts your entire existence, calls you to die, and raises you into abundant missional kingdom living, it's bound to disturb a few people. But I thank God every day for disrupting by "normal." "I also wanted people to know that the Bible gives them permission to be with, love, accept, and befriend sinners; that the Bible gives them freedom to enjoy life and embrace the grey areas of life without fear, fundamentalism, or frigid faith." This is my favorite thing that he said in the interview. I feel like too often, Christians avoid sinners (as if we weren't all sinners anyways... what a stupid notion) because they are almost afraid of catching sin like a disease. I also like that he admits that there are grey areas in life, that it isn't all black and white. I've found that the black and white views and rigid morality are the things more than almost anything else that will turn people away from the gospel and from Christ. I think that ties in nicely with what he said about meekness. Meekness and not religion being what draws people to Christ. Rest assured that no matter what I will procure this book... My husband and I are taking a leaf out of your book and have started a 7 journey of our own. I'll need a good read for no media month. "Non-leaders are the new leaders." And I like to see something to take to people who have tapped out. We have a few friends like that and it's hard to know how to reach them. So far we've just lived our lives in front of them and tried not to be too annoying. I look forward to reading this. At a crossroad in my life, the book might help with something that's forming in the back of my head. "I think non-leaders are the new leaders"
We need to go back to a grassroots approach to sharing Christ! Great insight! We're less than a year into our church plant, we host a small group at our house, the missional community is exactly what we're striving for! This book sounds like what we need! After hearing what Hugh has to say I MUST read this book! I am one of those people he is talking about...I stopped going to church, basically stopped believing because of CHURCH and RELIGION. Not because I didn't need Jesus, but because I couldn't stand to be around the people who professed to be his followers. Thankfully I found a church that isn't scared to love people and tell the truth. I for one am ready for "church people" to get a little shook up! My favorite... "the Bible gives them freedom to enjoy life and embrace the grey areas of life without fear, fundamentalism, or frigid faith". FREEDOM... quite possibly my favorite word! My favorite quote from the blog "I hope to also give people an angle that will challenge and release them into true incarnational living. I also wanted people to know that the Bible gives them permission to be with, love, accept, and befriend sinners; that the Bible gives them freedom to enjoy life and embrace the grey areas of life without fear, fundamentalism, or frigid faith." That is how I want to live life. "Church people would be afraid or annoyed by us, and the unchurched normal folks would love us, just as they did Jesus." Over the last few months, I've been realizing that the Jesus I thought I knew was actually one that's been made up by the people around me. He's not at all who we in America think He is, and I'm so glad, and a little scared, to finally be seeing Him for who He really is. Tired of being a church person. Ready for reality. Love the idea of not excluding for "The Lords Supper.". The one time we got my adult step daughter to church with us she felt hurt by her exclusion as a non-Christian. She has been raised and influenced by a mother who has been everything from Wiccan to atheist and even Buddhist in what I believe is her own search for God. It was 10 steps backwards in our attempt to show Jesus to our daughter. The idea that leader aren't "leaders" is something I've been seeing in my community. I love how God uses anyone willing (and sometimes those not willing!) for his glory. "I personally think the main reason people aren't coming toward Jesus is because they can't find him through all the mess of tradition, poor examples, judgment, rhetoric or religious activity...and that includes evangelical Christianity." yes, THIS. "If Christians were the most sacrilegious people in the neighborhood, cities would be transformed." "AND I would give it away like candy in at Halloween to jaded Christians who have tapped out of church, or friends who are not yet followers of Christ. It will help them see a completely different side of Christianity that they will like." Resonated, Resonated, Resonated. I am beginning to fit into that first group who are a bit jaded and tapped out on traditional "church." I would love to read this book, and even if I do not win the free copy, I will buy it myself. Loving and accepting sinners. It is a sinful world and I am a sinner. How can I think less of anyone else. However, it is something that I wonder how to merge the two worlds....my non christian and christian friends. As my husband and I are presently struggling through and trying to understand what a call to ministry means, my biggest fear is that this would be true of us. "...unpaid saints are much better positioned to affect the lives of real people than the pros. As I have assessed the landscape of the lives of pastors, incarnational living seems to be quite elusive from those whose calling is to lead the church..."
" I personally think the main reason people aren't coming toward Jesus is because they can't find him through all the mess of tradition, poor examples, judgment, rhetoric or religious activity...and that includes evangelical Christianity." As we are just getting started with helping plant a church in hopes of eventually being sent to plant, I know my husband and I would really appreciate and enjoy reading this book!
" 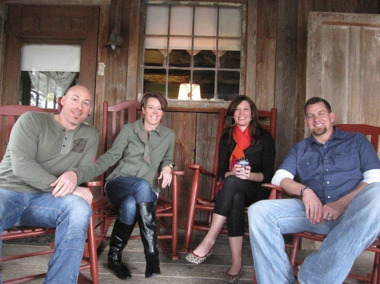 Church people would be afraid or annoyed by us, and the unchurched normal folks would love us, just as they did Jesus. If Christians were the most sacriligious people in the neighborhood, our cities would be transformed." What a thought and concept. Whoa!!! Just partnered with a new church, recently planted on the North Shore of Boston. I just mentioned to the pastor to read Brandons blog, I totally think he'd develop a man crush. I also informed him that I totally am crazy about you! (I admit, it's weird to type that out) I love how you challenge, inspire and let us have it... You are real and I need that. Looking forward to reading this book and firing up lots of discussion. Thanks for the recommendation! Because I love you, I now love Hugh too! :) the part about Christians being the most sacrilegious and freaking out the church-goers.....AWESOME,!! The real deal. That's what I'm in for. Sick and tired of judging and being judged. But am I courageous enough to press in? I love his statement that communion is more about remembering Jesus than anything else. What a powerful reminder that it's so much more than a short prayer as a tiny cracker and cup of juice make their way toward you every now and again...it's remembering Him, experiencing His love and His mercy. Praise Him! Brought up Italian Catholic. At 16 found Jesus and started attending a protestant church. Spent the next 35 years learning all the things that the bible actually said. One day found myself back at a Catholic church to be with my friend as her daughter made her communion. It was then that I experienced a closed Lord's supper. In rebellion, I went anyway. Never felt like that was what Jesus was talking about. The expression on my friends face as I shared with her how I felt when they said I couldn't partake was, well..... disturbing. Was she annoyed? Afraid? You see I had experienced the bread of life and received His mercy and even back then knew that it was not what Jesus had ever intended. After all these years it does my heart good to hear Hugh actually speak out about stripping away anything that hides the truth. I read this whole thing with tears in my eyes! Yes Lord! This is the answer! We can't continue to conform to this world. We have to stand up and speak out against the traditions that are taking people to the end of their faith journey. Tradition is a naughty word with me. LOL I've got an out of control fire burning in me! Thank you for letting us know about his book! I think non-leaders are the new leaders. And unpaid saints are much better positioned to affect the lives of real people than the pros. ....That's what spoke to me, as a reminder of what we are reminded of in our church - that we the congregation have a message to deliver too, not just the paid staff. Having MONUMENTAL issues lately with how we "do" church. I need help in book form. That he wants people to know that the Bible gives them permission to love, accept and befriend sinners. And that if Christians were the most sacrilegious people, our neighbourhoods would be transformed. Wow. I love every book that keeps me up at night- sick, disgusted, and wanting more Jesus and less religion. (7, Radical, Knowing God, are a few examples of books that messed me up!) Today I found out a dear friend's husband wants out of their marriage. He sits in our Sunday School class every week- pretending to be on board with it all- sits in church, week after week, puts on a great act of having things together- yet he struggles and suffers. I never even knew it (until today).....I need more Jesus- to be able to give more Jesus- people hurt, and need help. I want to know more about Jesus and less about religion- this book seems to be the ticket. I'm passionate about Jesus and want others to be too. "And unpaid saints are much better positioned to affect the lives of real people than the pros." Ouch! But okay!!! Let's do it! We're church planting so I'd love this book!
" I also wanted people to know that the Bible gives them permission to be with, love, accept, and befriend sinners; that the Bible gives them freedom to enjoy life and embrace the grey areas of life without fear, fundamentalism, or frigid faith. ". What a great focus. I would love to read this. Thanks!!! "I'm not sure if this is the main one, but the characteristic that I love the most is "meekness." Jesus teaches that this one, crazy little "istic" about our lives is actually what wins the hearts of our friends, our kids, and those we care about. Anything north of meekness is just religion and people can't stand it or stand for it." That is the part I am going to copy and paste into facebook when I tell everyone on my friend's list to read this. And they will obviously listen to me because who isn't looking for a book to mess them up and challenge all they hold dear?? The part about this book being about those "non-leaders" who are looking to create missional community is what spoke to me. I head up a ministry for military families and I've just finished 7 and have been messed up from that, trying to figure out what it all means for this ministry I'm leading. I want to move the women from focusing on their own issues and difficult circumstances into being Jesus in our community and we have the opportunity since many of us have time when our husbands are gone on deployments and training. I'd love to figure out how to communicate that to the women that I lead. "As I have assessed the landscape of the lives of pastors, incarnational living seems to be quite elusive from those whose calling is to lead the church. The peasants, the plumbers, and baristas and bar managers can easily take the sacrilegious way of Jesus and make it their own … starting tomorrow!" This and the part about communion being for insiders and administered by professional clergy (who are mostly not living incarnationally as per above quote). I need to read this right now, so I will be downloading it immediately on Kindle (if it's there) and then if I randomly win one of your copies, I will make sure to get it in the right hands. Amen!! As we've walked the difficult road of trying to figure out what it looks like to love the sinner the sinner yet hate the sin (and not condone) in regard to our own family members over the last few months, I think this book would be a fresh read for sure! Your book, "Interrupted" stirred up something in me. Made me mad, confused, convicted but I finished it and I already want to read it again. I feel like I might feel the same way if I read this "Sacrilege". This is where I'm at right now "jaded Christians who have tapped out of church". I'm in need of some refreshment and reminder that this life is for Jesus not 'religion'. Jaded Christians and the blah, blah, blah white noise of religion...recovering PK. I need a new Jesus. Loving interrupted and hungry for more. "small groups who are trying to become missional communities"- that is us, this book looks great! Dude I'm in!! I love books that challenge me out of my comfort zone. If while reading a book, I am moved to pack in case God calls me elsewhere or get my big girl pants on to stand up for a biblical truth, then I love it! Let's go! God is moving and I don't want to miss it. I live in Denver and have friends that either go to Addulum currently or have in the past. Hugh and Matt are both great writers. This new book sounds great! It is definitely on my list "to read"! I love the part where he talked about non-leaders vs paid leaders (to put it simply) - being a pastor's wife and also having a paid church position myself, it's always our struggle to show people in the church that it's not just up to us but that they themselves can have a huge (often bigger) impact in the community themselves! I loved the scissor analogy. I am intrigued by what he said about meekness. Anything north of it is religion and people can't stand it. I'm excited to read! Love this idea. I like the idea of communion being for everyone. I'd like to read this- my husband would especially enjoy this! I'm so ready for a book like this. I can't wait to read it! Scissors, too, and the image it gave me of helping a child use them carefully instead of just a) doing it for them or b) never giving them a chance. "Anything north of meekness is just religion." Hmm. I need to think about this. I might be a jaded Christian who has tapped out of church. Great post, I agree with the so called church leader. Most church leaders follow a corporation model instead of. Jesus model. Thanks for blogging about this book. I look forward in reading it. Coming from an incredibly conservative background, so many of the people I grew up with have turned their backs on God and it makes me so sad. But, I also remember that's it's only by God's grace I didn't go the same way! I completely understand why they left- they were given an empty religion that they could not reconcile with reality. PS- just finished 7 and Interrupted and I LOVED them!!! God interrupted our lives a few years back and now we have a beautiful son from China (you can read OUR story on our blog) and our lives look nothing like they did before! Your books reminded me of our journey, and 7 challenged me to new levels of simplicity and sacrifice! :) Thank you! I am so glad people like the Hatmakers and the Halters are brave enough to share this stuff with us. A new wind is blowing, and thank the good Lord! By the way, are you familiar with Church of the Saviour in DC? They started being radical over 50 years ago. I'd love a copy of Sacrilege. Will buy if I don't win! i must confess that i need some hard to swallow truth in my life right now as i minister to others who are constantly compromising, and i find myself struggling not to do the same. Thanks for the heads up on this book. Can't wait to read it! Please pick me! I want to know what it would take to get you and Hugh to come to Tulsa! You know, just to get people fired up and in love with Jesus the way that you obviously are. I love to read anything that looks at religion in a different light from the canned religions that we have all been brought up on. "Give it away like candy at Halloween to those who have tapped out of church..."
For a while my husband has seemed to fall in to this category (he claims after growing up in a Christian home and going to a Christian high school and college, that he "gets it"), but lately I've found myself growing closer to this group... I would love to read it with my husband and see if we can find our way to something better than what we've ever had! Bring it! I don't want to be a Pharisee! Their just not fair you see!! I want to be a sheep! There. Cheesy Christian cliche to comment on a book that's down on Christian cliche!! AND i have a roommate from Christian College that's gone all rogue on Jesus and embraced 'all roads theology' saying she's been a victim for Post Traumatic Church Syndrome... yikes. This book is for me... and her! I read Tangible Kingdom and loved it!! Thank you, thank you for the recommendation. I won't be able to wait to find out if you picked me for your book give away because I have to order this book PRONTO. But if you do pick me, I promise to give it to someone who will love it. I haven't read anything by Hugh yet. Just finished Interrupted and now I've got at least two more books to read. :) Planning on a 7 ladie's Bible study this Fall - can't wait! I'm up for a shake it up kind of book! I have been really intrigued by missional living for Jesus since reading Crazy Love last year. I love that this is a book for those of us who are ready to engage the world. I just started reading the Tangible Kingdom (as per your recommendation) and would love to hear what they have to say in this book! Read aloud the excerpt about why he wrote this book for the "no leaders" to my husband (the pastor). We both were shaking our heads in agreement as I read it. Read "7," currently reading "Interrupted." " The Tangible Kingdom" AND "Sacriledge" are next! Thank you Hugh and Jen for saying what I have been so frustrated with the church about for so long.
" the characteristic that I love the most is "meekness." Jesus teaches that this one, crazy little "istic" about our lives is actually what wins the hearts of our friends, our kids, and those we care about." Off to grab the e-book version. If I win I'll send it to my friend Emily in N. CA. This is just what my heart needs. I love how the unpaid peeps are the "new leaders." And I just love the whole opposites day mentality of Jesus' beatitudes. Would love to read this! Thanks for the chance! "I also wanted people to know that the Bible gives them permission to be with, love, accept, and befriend sinners;"
I'm also curious to read more about his perspective on communion - I've never heard anything along those lines expressed before. "reading the Bible gives them freedom to enjoy life"
I grew up thinking the Bible was a set of rules (because the gold plated Bible in our house was not to be touched - EVER). Luckily, as an adult I have learned the Bible gives us to the tools to be a blessing on others. Which why I just tattood the word blessing on my wrist. I love the description of the Lord's Supper being an invitation to eat with Jesus, and to experience His mercy. I grew up Plymouth Brethren, and despite all that I didn't like about the way things were done there, I've never experienced a "Communion" quite like the Breaking of Bread that they partake in each and every week. I'm longing to eat with Jesus like that again, but without all the stuff that went with it. 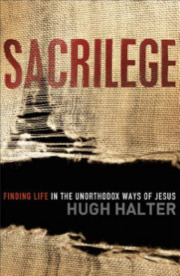 I'd love to read this book and hear Halter's thoughts on the Eucharist! Shaking in my flip-flops with sheer trepidation and elation (I'll call it trepilation?) from simply reading the interview? If I am this compelled to purchase a book from such common sense writing mixed with wisdom, I am in deep doo-doo. Seriously? Enough with the whole here's another book you should read that will make you feel like the barista just spilled hot coffee in your lap while offering you a chocolate eclair! I don't know if my heart can take much more non-conforming after my "Seven" exploration, I am a hot mess but I can't help it! Let's do this thing and rock some peoples lives, starting with our own. "Non-leaders are the new leaders." That's a big chunk of get your act together because what the "lay people" do is being watched, the world wants us to be their Jesus with skin on and it's up to us to actually step up and do something about it. Brilliant. Beautiful. Cannot wait to transform! I grew up in a church where we practiced open communion and was shocked and, I must admit, a little hurt the first time I went to church with my new in-laws and discovered you had to be a member to take communion! I LOVE, LOVE, LOVE that Hugh addressed this and can't wait to read this book! !